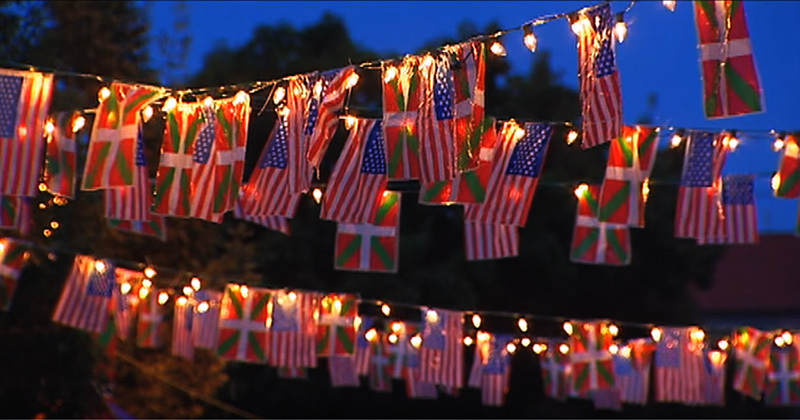 The Basque Block is a small but dynamic area in the heart of Boise that has connections to Basque Country through culture, language, food, dance, art and celebration. It is often the site of events for national organizations and more intimate gatherings like weddings, fundraising and educational programs. It is unique and known around the world for the annual activities that have made it a most popular destination for visitors and travelers. The first thing you will notice when you visit The Basque Block is the variety of architectures, bright colors, turn of the century charm and diversity. The Basque Block is home to 4 restaurants, with several others nearby, the Basque Museum and Cultural Center, The Basque Center, the Basque Market and landmarks like the Cyrus Jacobs-Uberuaga House and the Fronton (Anduiza) building. 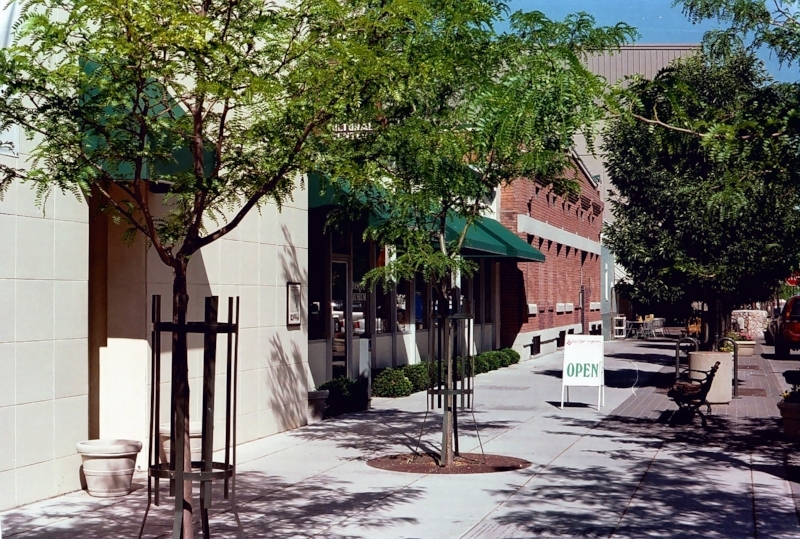 Located Just a block from City Hall and the Boise Centre on the Grove, The Basque Block is a meeting place after events at CenturyLink Arena and for people who are visiting Boise attending conferences at the Centre on the Grove. Several times a year The Basque Block is closed to car traffic for events like the annual Basque Museum's Winefest, the San Inazio Festival, Pete and Freda Cenarrusa's Lamb Barbecue. The Basque Block has become one of Boise's favorite outdoor venues. Bar Gernika is an old fashioned Basque pub and eatery that was established in 1991. It is a favorite gathering place for the community. Saved by the Basque Museum and Cultural Center from demolition by trading parking spaces for a lease, Dan Ansotegui did all of the work to make it into the quaint spot it is today. You can find great appetizers, soups, sandwiches and wine there and an atmosphere that welcomes all to The Basque Block. For more about Bar Gernika click here. The Basque Center is the meeting place of the Basque community in Idaho, Eastern Oregon and beyond. Its home to public events like the annual Sheepherder's Ball, and is available for private parties and events. For more about The Basque Center click here. The Basque Market opened its doors on the Basque Block in 2000. With more and more Spanish and Basque products coming into the Boise market, and few stores willing to carry them, Dan Ansotegui opened The Basque Market. The Basque market has the largest selection of Spanish & Basque wines in all of Idaho. The Basque Market, now owned by Tony and Tara Eiguren, caters events both large and small serving everything from tapas, special paellas in your own home, to traditional dinners served at The Basque Museum or The Basque Center. The Basque Market is prepared to handle groups from five to five-hundred. For more about The Basque Market click here. The kick-off event is on Friday with "Friends and Family" night. Everyone is encouraged to bring their favorite pintxo (snack) to share and visit with those that have traveled from far away or from just down the road. There are pala games (unique Basque game but comparable to racquetball) scheduled throughout the weekend at the Anduiza Fronton (619 Grove St.) that are televised in the Basque Center for spectators that prefer to stay cool during the hot July days. Saturday gets started before noon with local musicians and Boiseko Gazteak, Boise's youngest Basque Dancers (ages 3-14). Txantxangorriak, a basque music ensemble rounds out the morning. The street activities peak with a performance by the Oinkari Basque Dancers. The Oinkari has been around since 1960 and has toured all over the world promoting Boise Basque culture. Pala games continue and that evening at St. John's Cathedral a mass with liturgical dances performed by Onati Dantza Taldea. Dancing on The Basque Block tops off the evening and early morning out with local favorite Amuma Says No, a Basque band from Boise that accompanied Oinkari Basque Dancers in the Basque Country and had a musical tour of their own. Sunday is a relaxing day in Municipal Park with picnics and games for all age groups. Sunday evening entertainment fires back up on The Basque Block for another dance. All are welcome to come experience San Inazio, and enjoy the unique Boise Basque culture on The Basque Block! Jaialdi refers to a festival in the Basque language Euskara. This festival exhibits the Basque culture with dancing and musical performances, sporting events, authentic food and drink. The Basque people are known for their merriment, and Boise's Jaialdi showcases these characteristics well. Jaialdi was first celebrated in 1987 at the Old Idaho State Penitentiary as a one time weekend event to educate the public about the Basque culture. Jaialdi ‘87 attracted approximately 30,000 visitors who enjoyed the event, the location, and the opportunity to be part of the Basque activities. The festival was so popular that Governor Cecil Andrus asked the local Basque community to put on another celebration to help celebrate Idaho’s Centennial in 1990. After Jaialdi ’90, it was decided that the Jailaldi would continue to be held in Boise every five years. Jaialdi has become so popular that the larger events were moved to the Western Idaho Fairgrounds to accommodate over 40,000 guests with celebrations continuing on The Basque Block. Boise State University's Basque Studies program also presents educational events downtown and oncampus during Jaialdi. Jaialdi is held on the last weekend of July, which coincides with the Basque community of Boise’s celebration of their patron saint, San Ignacio of Loyola.